My husband and I really love to cook together. It’s become something we enjoy doing as a team on the weekends. We even talk about taking cooking classes together when the kids get older and adding even more to our simple living recipes box. 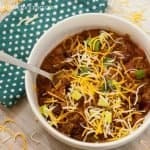 My husband loves chili and he’s been in search of the perfect ground beef chili recipe for a while. 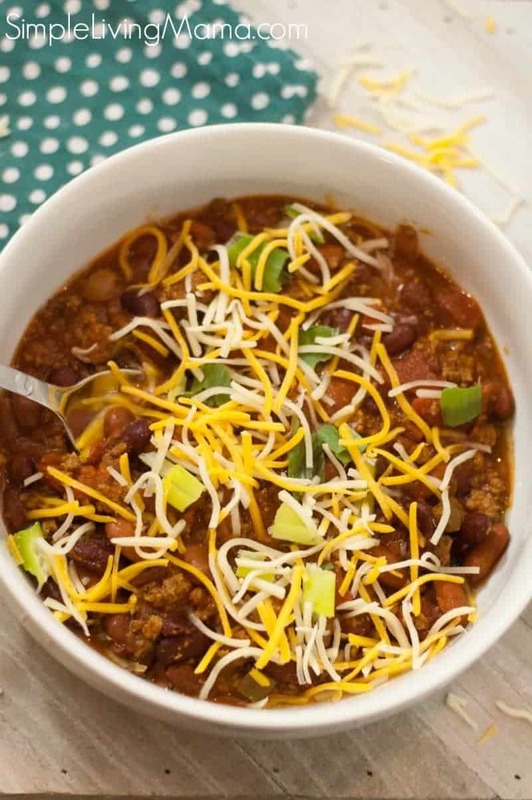 After making the recipe together several times, we think we have figured out the best homemade chili recipe for our tastes. 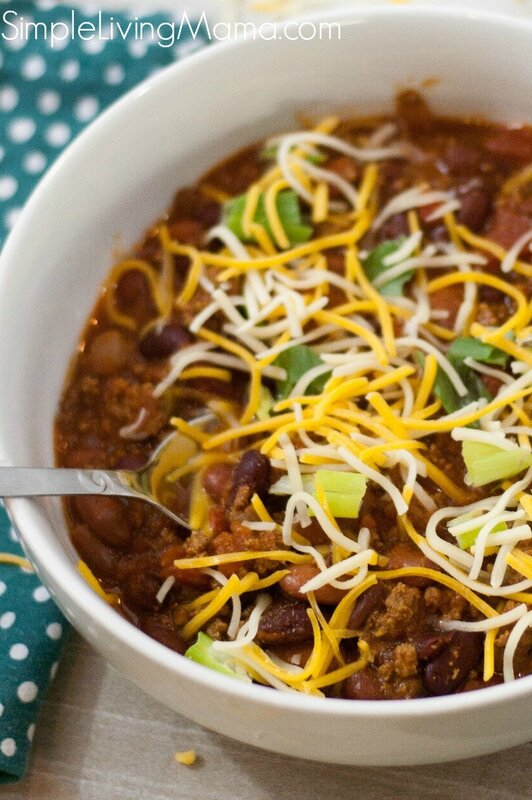 We do have a secret ingredient that we LOVE in this chili. Keep scrolling to find out what it is! 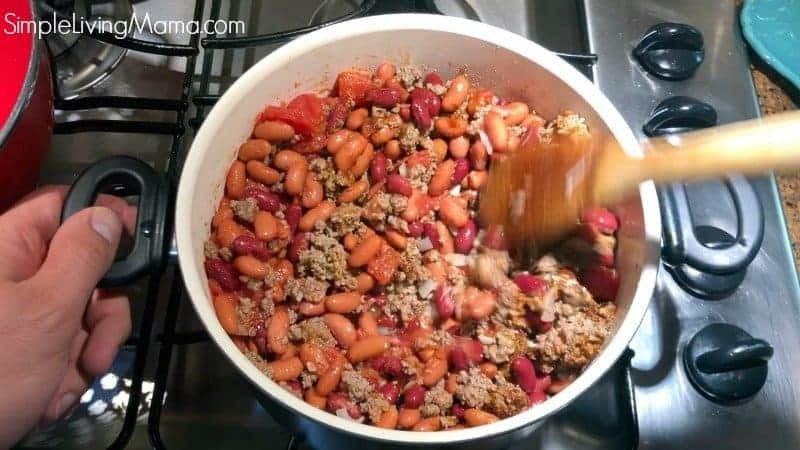 If you’re looking for a quick chili recipe. This is it. We can make this one pot meal in about 30 minutes. Of course, the longer you allow the chili to simmer, the better the flavor. Here’s what you’ll need for this chili recipe. First, brown the ground beef in a pot. Add chopped onion and minced garlic and allow to cook with ground beef. Add tomatoes and beans after draining and rinsing the beans. Add all of the chili seasonings. Yes, the bullion is my secret ingredient. You can use beef bullion if you prefer. Stir to combine all the ingredients. Add a little water if you want you chili a bit thinner and more soupy. Allow to simmer. Have shredded cheese, chopped green onions, and possibly sour cream available for toppings. We also like eating our chili with saltine crackers. So delicious and PEFECT for a fall evening! 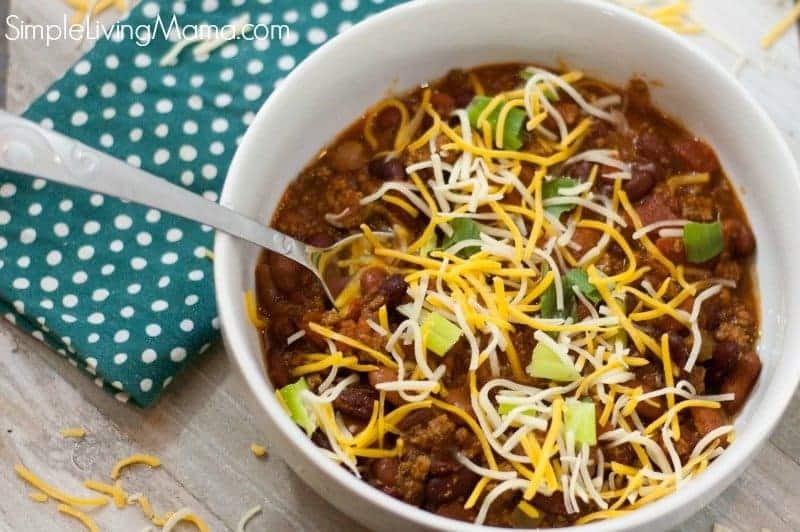 My kids gobble this chili up! We love using mild diced tomatoes and chilis so the kids can handle it, but use whichever variety of heat you prefer. 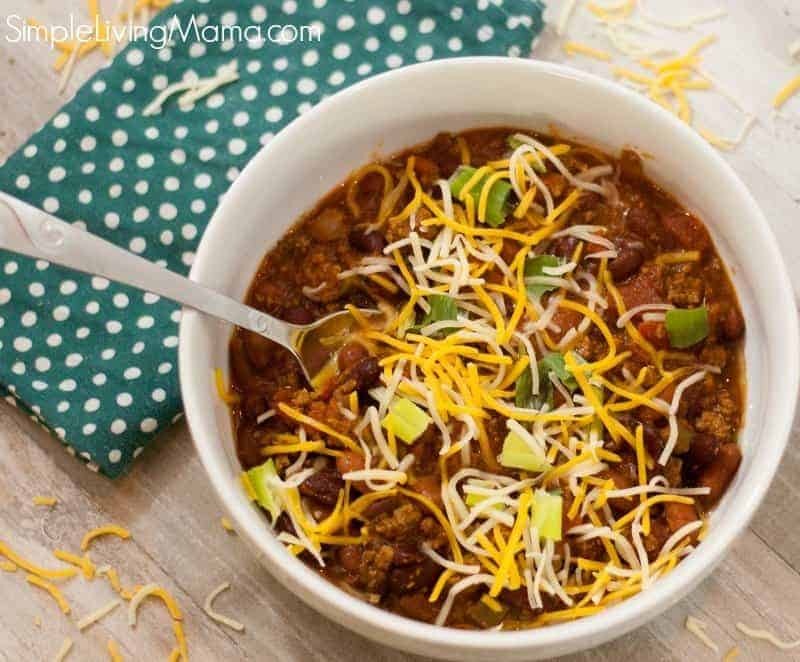 Do you have a favorite chili recipe? 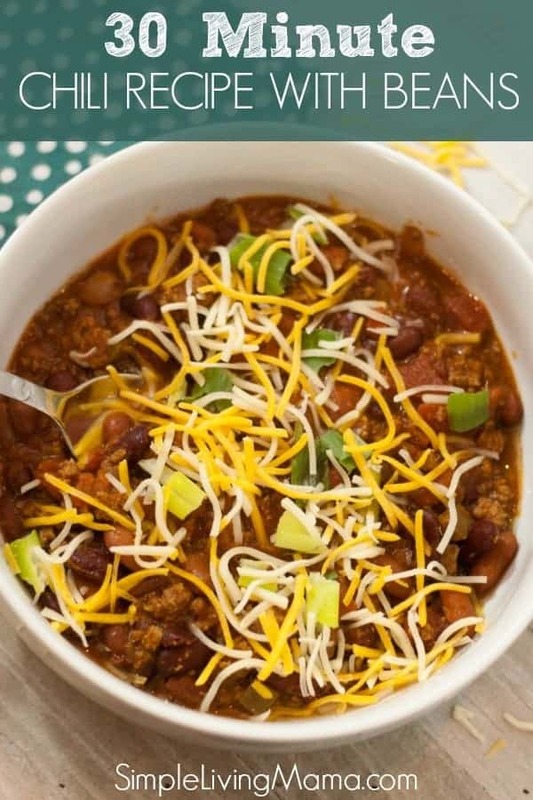 I encourage you to give this one a try if you’re still looking for the best chili recipe! This is our family favorite! 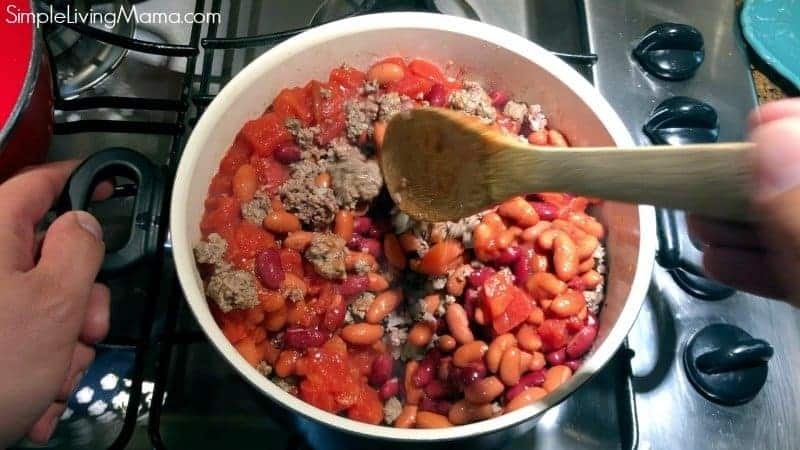 A delicious and quick ground beef chili recipe with beans. 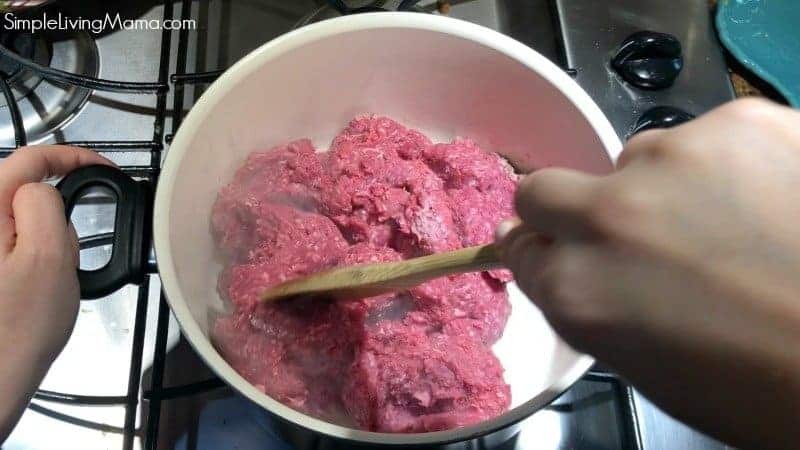 Brown the ground beef in a pot. 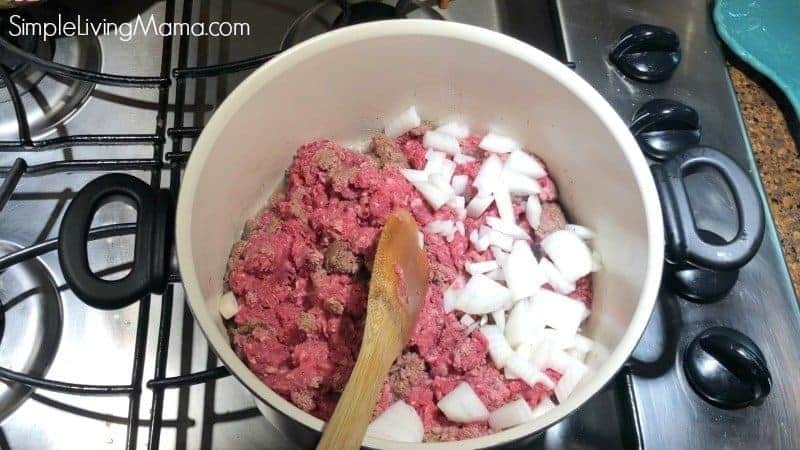 Add chopped onion and minced garlic and allow to cook with ground beef. Add tomatoes and beans after draining and rinsing the beans. 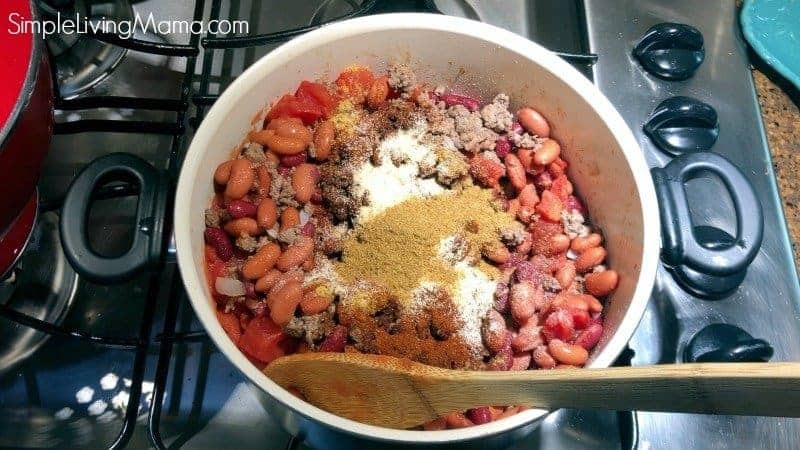 Add all of the chili seasonings.Stir to combine all the ingredients. Add a little water if you want you chili a bit thinner and more soupy. Allow to simmer.